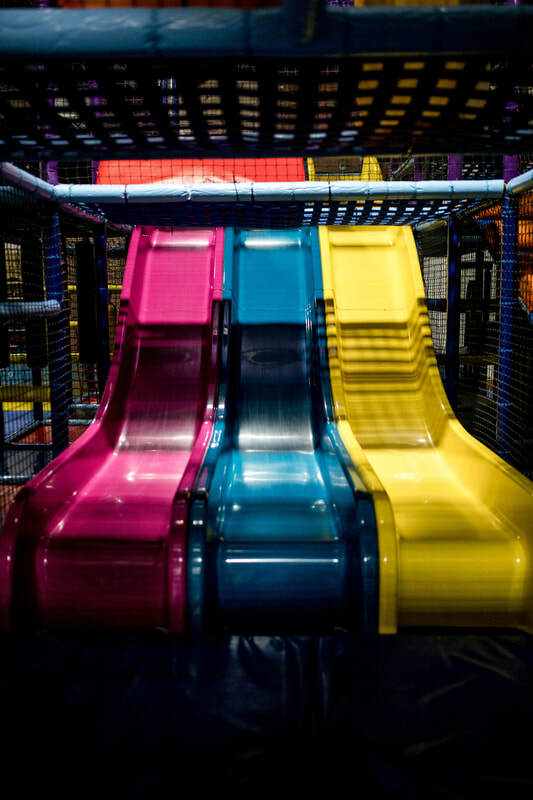 Kidmazium at Paramount Sports Complex is a multi-level climbing and play structure for children. 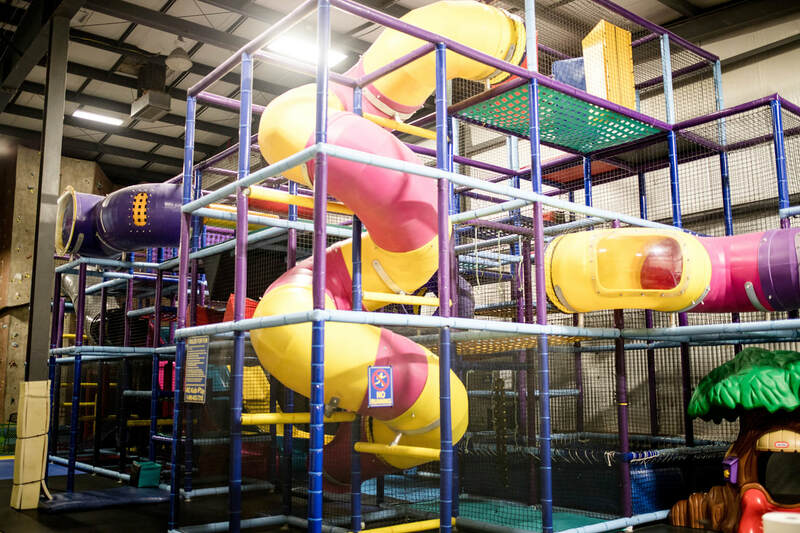 It includes tubes, nets, tunnels and slides for climbing, crawling and sliding fun! There is even a "bouncy-house" included! • Kidmazium is supervised by our qualified, friendly Paramount staff. • The recommended ages for Kidmazium is 2 - 12 years. A parent or guardian must stay in the Kidmazium with children under the age of 4 years. 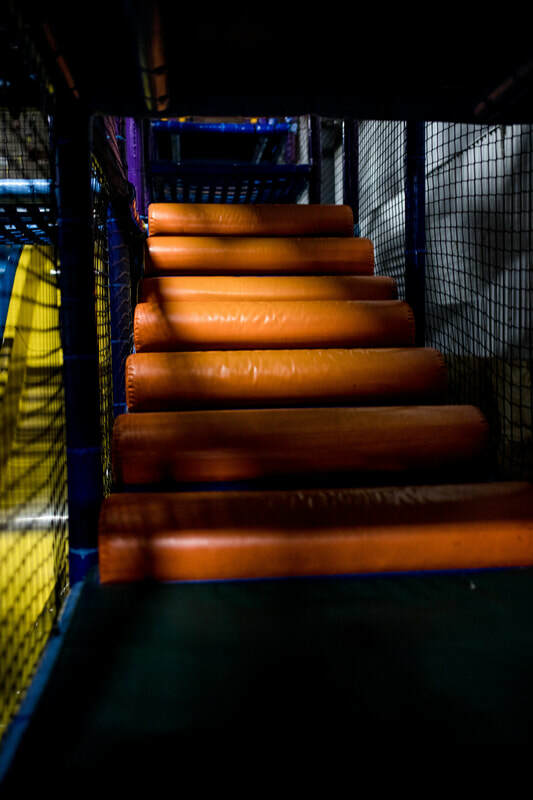 Children ages 4 to 12 must be checked in by a parent or guardian, who does not have to stay in the maze area to supervise but must remain on the premises. 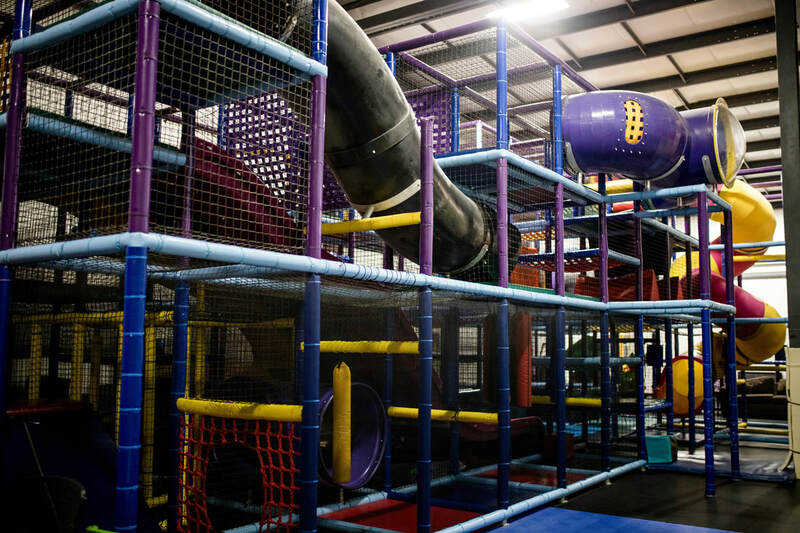 • While you wait, sit have a seat in our large, comfortable lounge area adjacent to the maze - or join our fitness center and work out while your children play! Children must be under the age of 12. Socks MUST be worn at all times. We recommend wearing grip socks! Absolutely no food or drinks are allowed in the maze area. There is a 2 hours time limit and there must be at least 4 hours between visits. Parents / guardians MUST remain on the premises. Older siblings may not be responsible for young children unless they are over 16 years of age. Please be considerate of others and DO NOT bring your child into the maze if they are sick or not feeling well. Every child must have a waiver signed by their parent or legal guardian in order to participate. The Kidmazium now includes the Kangaroo Jumper!